is something that fire the fuse in your imagination, provoking a colossal emotional explosion. 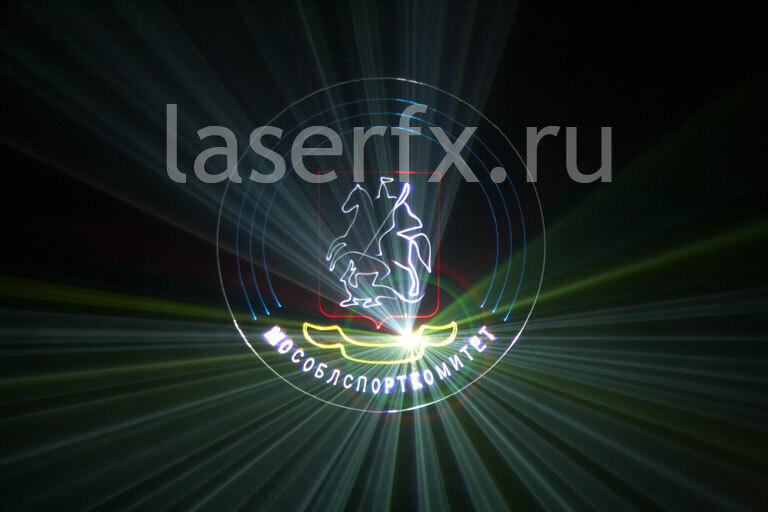 – unlimited: there is no limits to creative possibilities, no limits to imagination, there is only the amazing light and sound symphony of laser animated cartoons. Colorful slogans and logos will resonate with a solemn speech and underline the authority of the event. 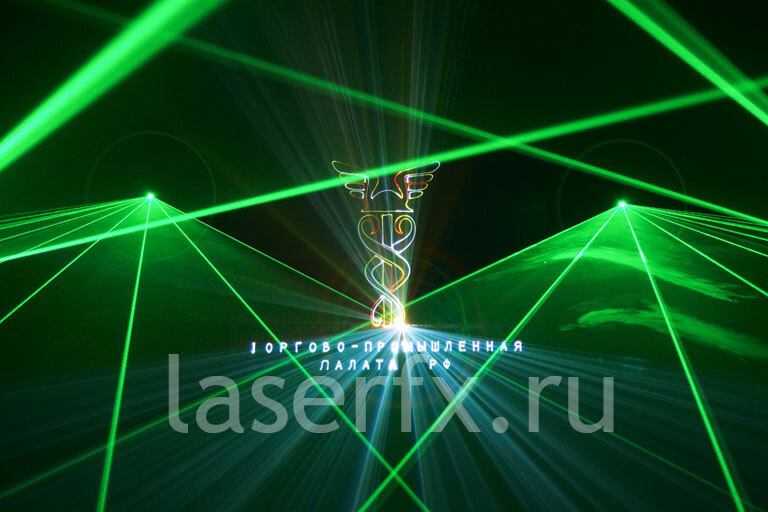 A wonderful opportunity to present yourself in laser rays to the general public. A harmonious set line is built to ideally resonate with the fluttering drive of the present audience in the air. The flow of blue-red-green reflections pouring on the pavement, wet after the rain. This kind of commercial has a miraculous power to attract potential buyers. 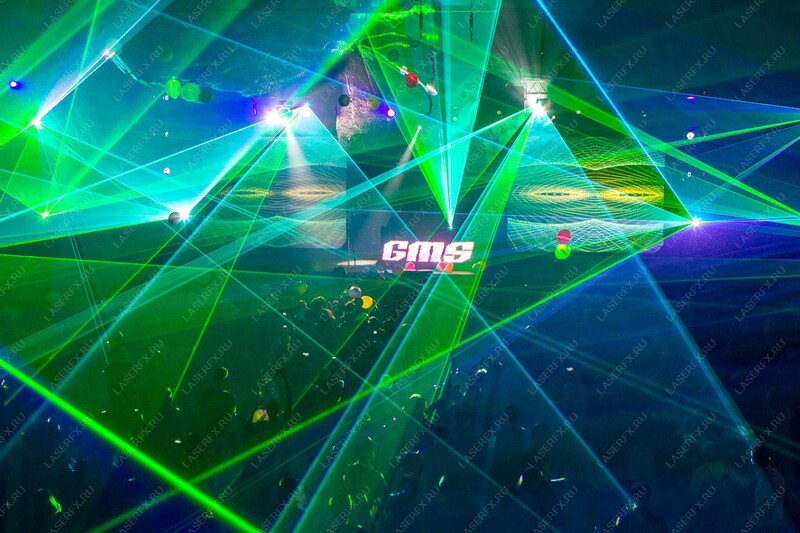 A real bacchanalia of light and sound, moving in the rhythm of dance floor. Widen the laser space. Any graphic components in correlation with business-concept of the company, shop, bar, restaurant. The dynamics of changing impressions and a unique solution for the interior. The whole world as theater. 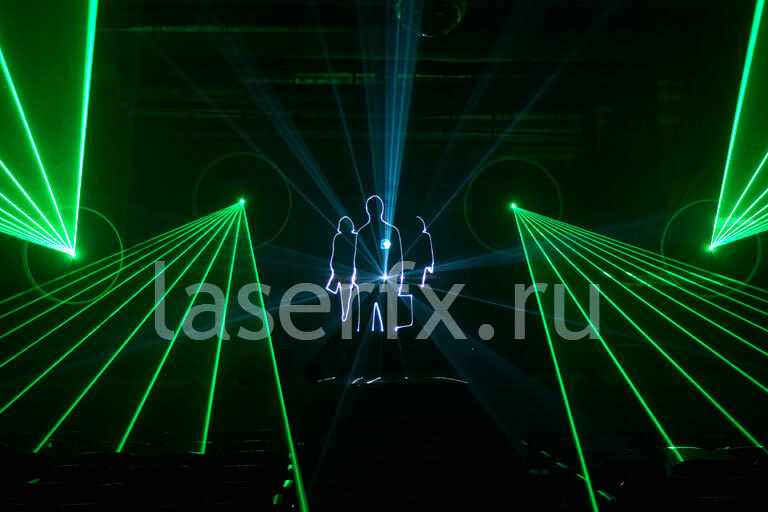 Talented producers' plays combined with animation performances of playful laser rays will explode the minds of the spectators and will allow to look at usual things from a new viewpoint. 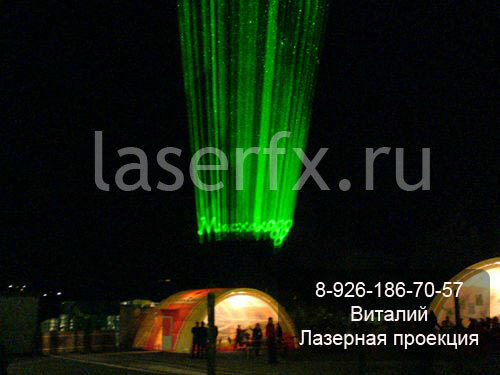 Laser show is something that was drawn by fantasy in the corners of human mind, today it bursts out in the intractable aerial space. 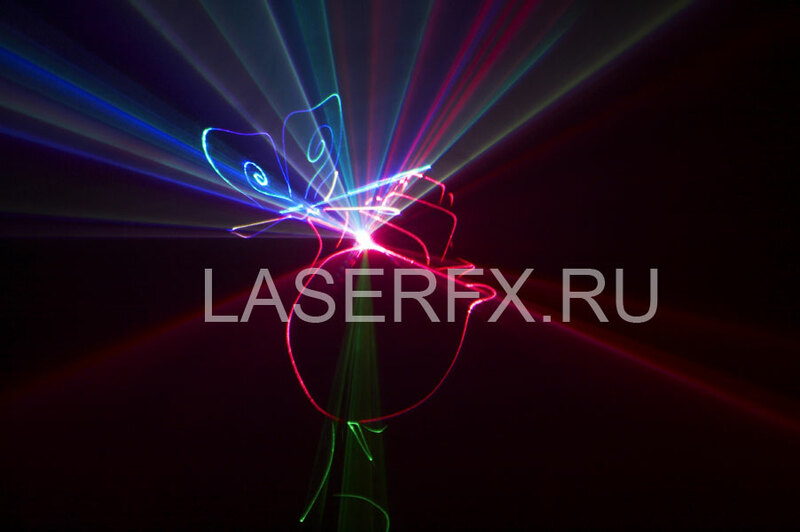 Laser show is a full-fledged performance that can be demonstrated during concerts, festivals, cultural events. 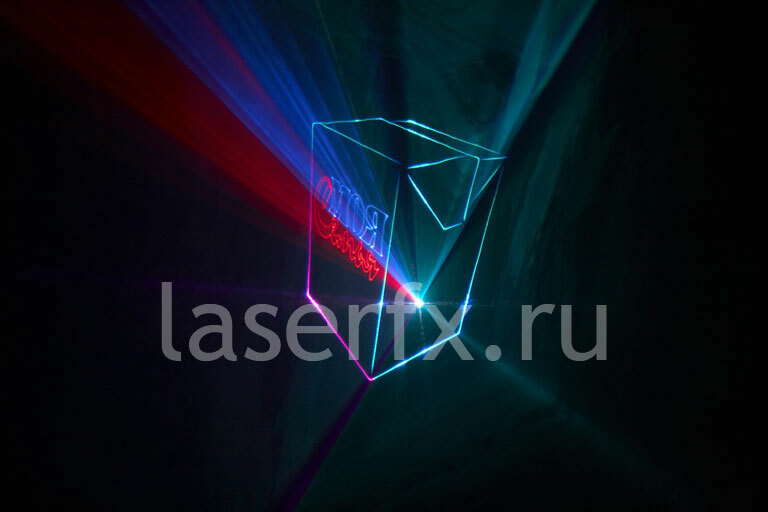 Company LaserFX proposes a bright collection of tested laser show variants, accompanied by a high quality sound. Naturally, our qualified specialists may prepare an exclusive show specially for you, according to your preferences. 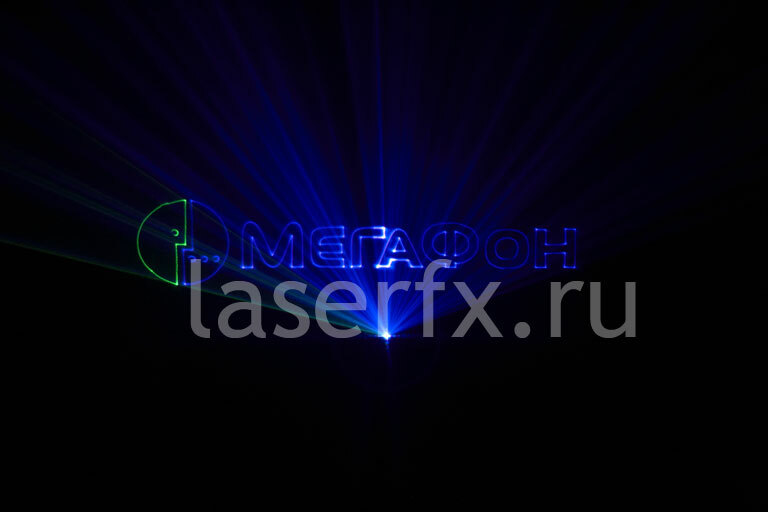 Laser show can decorate and harmoniously complete any program, concert, bit, can diversify the structure of performance. Executive producer and director of the play, using laser show, get wide possibilities to influence emotional perception of the audience. 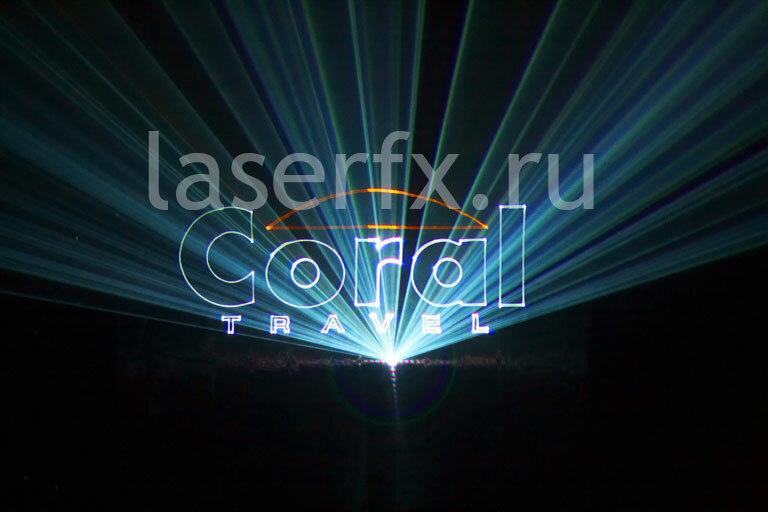 The evidence of efficient, qualified, trustful, creative and original activity of LaserFX in the sphere of laser show presentations is our team's professional laser specialists' participation in musical festivals' programs, popular singers' concerts and many other mass cultural events. 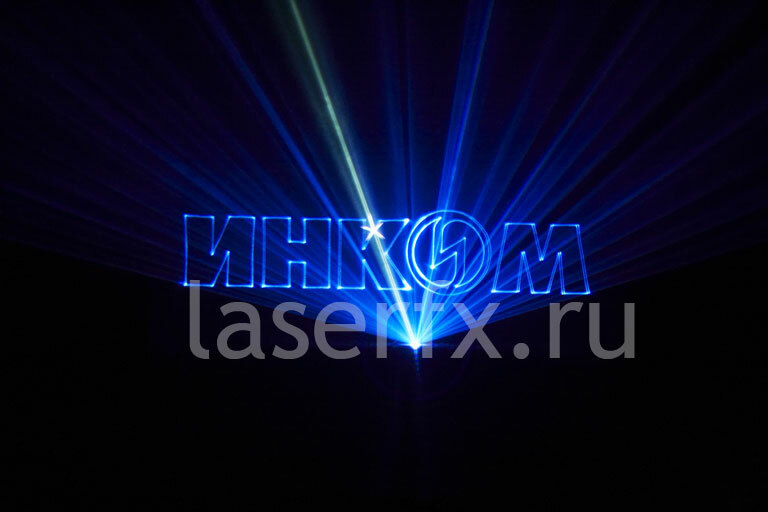 Laser projections create atmosphere of faerie and celebration and help a successful self-expression of the show-hosts, using laser shows for their programs at discos or night clubs. 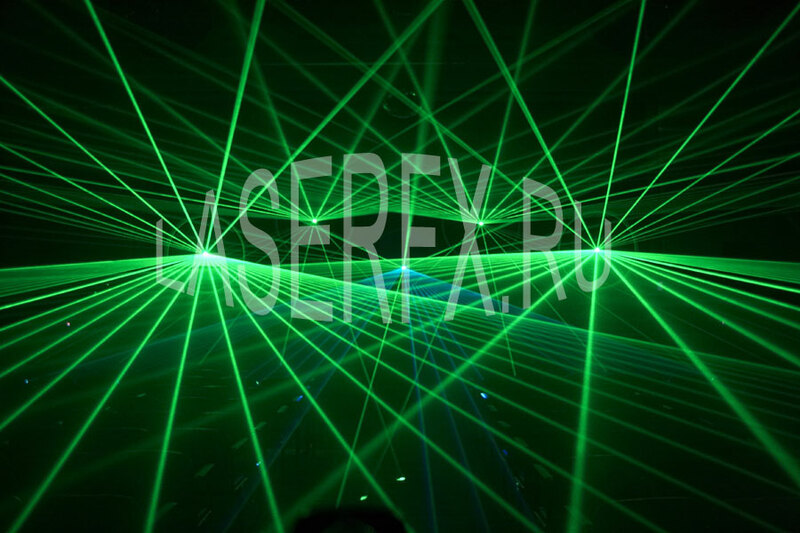 We have a huge experience of dozens laser show systems installations in the most popular clubs of the country. This kind of show can facilitate promotion of your company, being an element of action, presentation or other types of commercials. 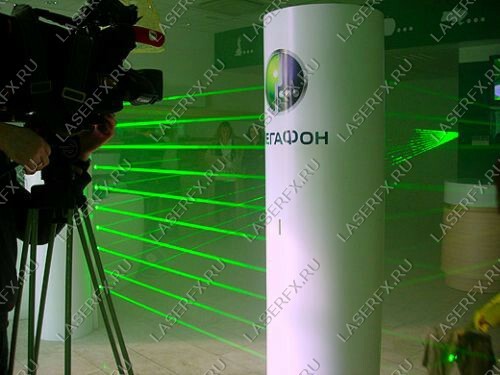 LaserFX specialists will elaborate and introduce the most efficient option individually for your commercial: logo projection, three-dimensional image of the promoted product, motto or exclusive cartoon, presenting customers' attributes. Images are projected on translucent screens or plain parts of the surroundings, such as floors, ceilings, walls. 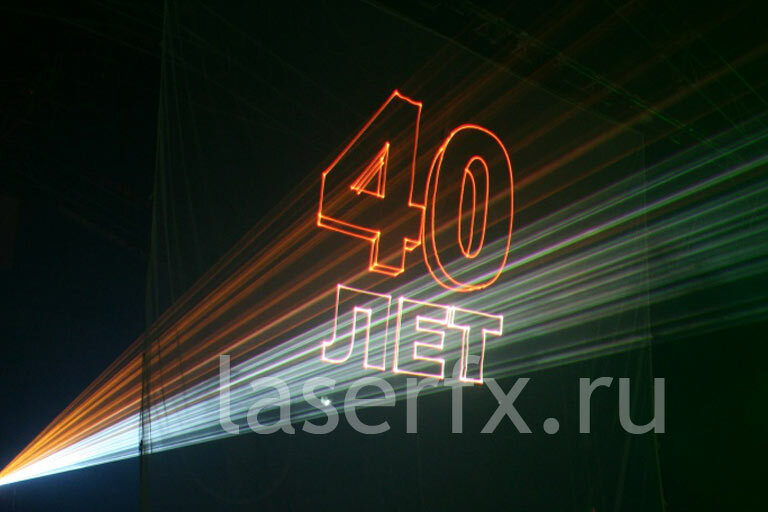 Exceptionally powerful laser show systems can create dynamic, bright, clear images on such macro-surfaces as walls of many-storied buildings and football fields. 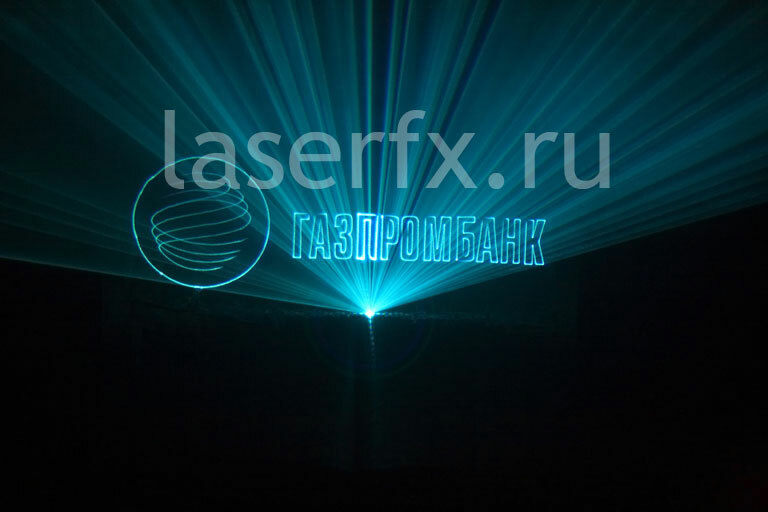 Many-years-experience of the company LaserFX having produced laser shows in different fields, will help make your festivity unforgettable: jubilee, wedding, party, corporate or city event, including Day of the town. 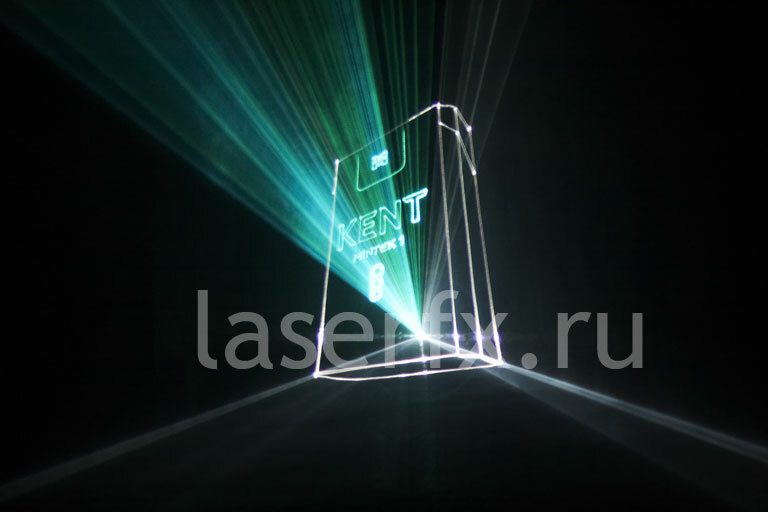 Our specialists, using powerful laser equipment of the company can project images to a significant height and to macro-fields of various surfaces. Call us, and price will seem to you surprisingly attractive.